On July 3, the sky in Minsk was lighted with fireworks. It seems to me that we no more have January 1, but only the day after partner conference in Minsk. So while the international community anticipates Telematics 2018, the Russian-speaking partners are already acting in the New Telematics Year. Let’s have a quick look at 2017-2018 through the quotations of Aliaksandr Kuushynau and draw up ‘to-do list’ for the next year in telematics. 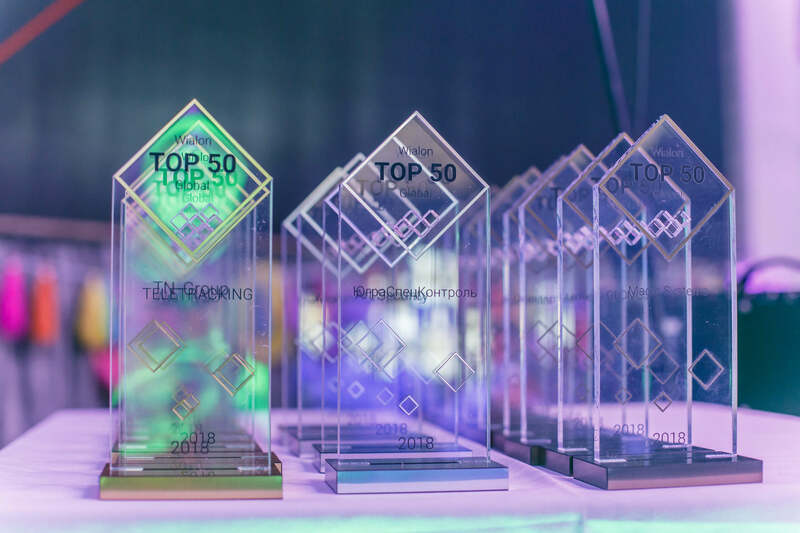 During the latest Telematics, nothing – not even the FIFA World Cup – could distract our guests from discussing who’s in the list of most rapidly developing partners. Every hour, they were exploring partner chat and my.gurtam.com for more info, and heated up the situation by organizing an improvised betting pool. Want a spoiler? The international community dominates TOP 50, while needs more effort to occupy TOP 10. There you’ll face companies from Russia and Ukraine – in each of these countries Wialon covers more than 100,000 assets. If we summarize the areas of all booths at this year’s exhibitions, we’ll get the house of Aliaksei Shchurko. Just joking. His house is way bigger. No time to boast more. For this year, we’ve planned 9 exhibitions and made 3 of them special. We build superbig booths there and gather all technological partners in one place. 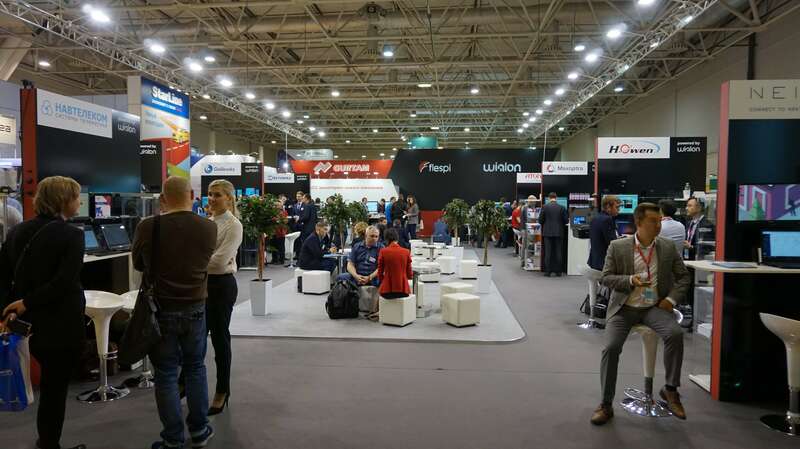 Last time, Gurtam and 16 more companies set Navitech expo on fire in Moscow. We’ve brought a real telematics IKEA there. Seriously, we swept through the exhibition like Godzilla in Tokyo with just one difference – while the monster was breaking a city, we were breaking the mould. If you missed Moscow, we highly recommend you to join us in Los Angeles at MWCA 2018 and in Dubai at GITEX Technology Week. If you were long planning to enter the markets of the Americas and the Middle East, we have an invitation ticket. 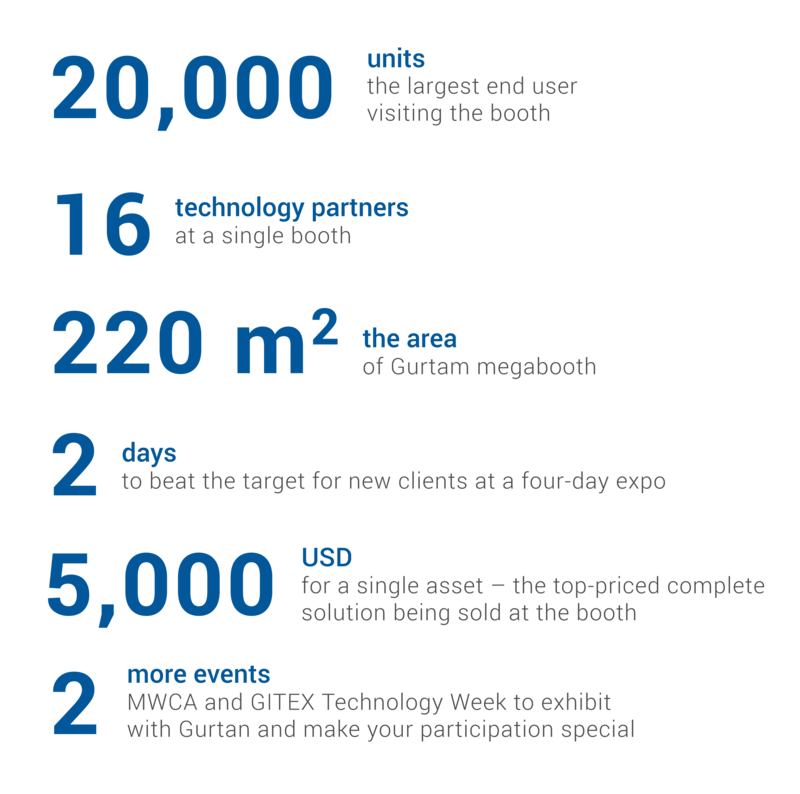 Take it with your stand at our megabooth on expo.gurtam.com or contact us at marketing@gurtam.com. At Telematics 2018, Wialon implementations were described by integrators, hardware developers, and Gurtam specialists. Some projects were known from Grutam blog, other were presented for the first time. 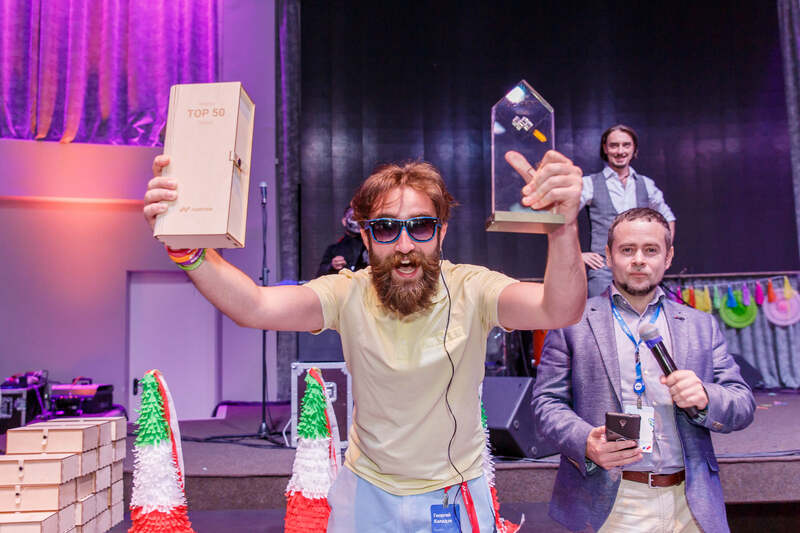 Our Russian-speaking partners named the best case story. It was a project by Technoton who equipped oil-tankers to control fuel with Wialon. This is where you can draw practical experience and inspiration. The blog article is coming soon. 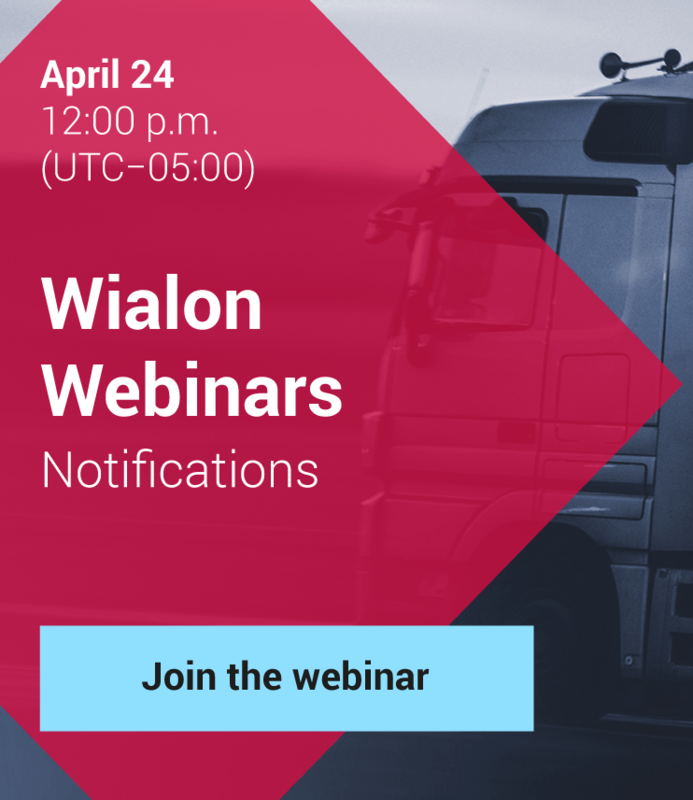 Wialon-based Delivery Control solution recently described on our blog is already being implemented in several companies from Latin America. That’s how Gurtam helps you to reach new markets. When the article about Fleet Health – the app for remote hardware diagnostics – was published, we’ve got 10+ requests from partners globally on the same day. This is how they got new clients being Wialon-based software developers. Whatever goal you pursue by promoting your products and projects, we’ll attain it more rapidly together. Tell us about the role of Wialon in your business at marketing@gurtam.com or my.gurtam.com, and you’ll have a chance to present the most interesting case story at the next conference. In 2017, more than 250,000 new assets were connected to GPS tracking systems in Russia alone. According to Omnicomm, Gurtam partners account for almost a half of them (43% new connections in the region). The dynamics of Wialon growth confirms the figures. 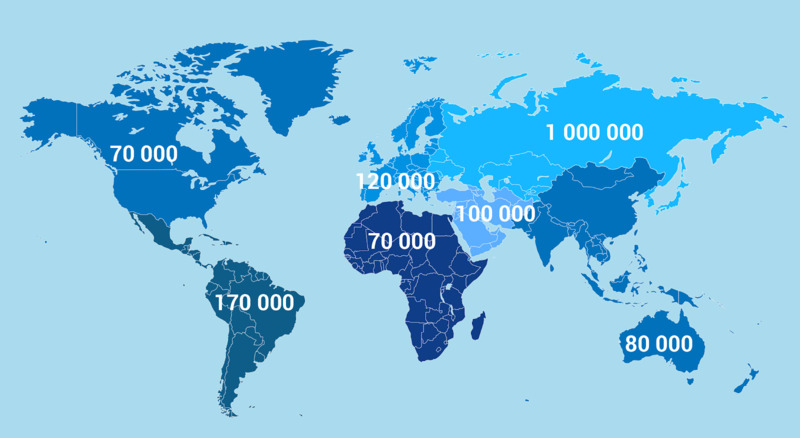 We now control 1,648,999 units, which means that the long awaited 2,000,000 assets on Wialon will be announced even before Telematics 2019. By the way, that’s how the assets are distributed regionally. As you see, in all regions we have much work to do. Do it not only to meet outrageous George Kaladze, making the gala-evening hot, but also to enjoy the country where Wialon controls most of the stationary and moving units. If we consider GDP, population size, the number of vehicles, and the total mileage of the road network, Georgia ranks #1 internationally in Wialon distribution and implementation. And after Georgia, visit Jamaica, Papua New Guinea, Jordan, and other countries from TOP 10 in this rating. Spend a nice weekend there, or even a week, – after August 17, you’ll have another work year to live.